My take on the accuracy and plausibility of MacGyver Season 1 Episode 7: Can Opener aired November 4, 2016 on a scale of (Accurate, Probable, Possible, Unlikely, Bogus). If there are any other statements or events you would like me to analyze, please add a comment with a brief description and the time in the show. Unlikely (guess): It's not clear why the gas truck has a nozzle on top. It is unlikely that the cable lock would create a tight enough seal. I think it is unlikely that a bullet would provide enough heat to ignite the gasoline. 10:19 Riley: "They ran a security update and patched the hole in their system I was using as a back door." Accurate: Calling it a "Back Door" might not be 100% accurate; however having a reliable exploit for a known vulnerability would be just as good. 12:20 An inhaler won't spray, because the pin in the cartridge is missing. Possible: While using a piece of a fork to temporarily replace the pin could work, it would probably not be that reliable. Additionally, the problem is with the cartridge and not the inhaler, so inserting a new cartridge would have fixed the problem. 17:02 Jack: "'Jail', what an idiot. I just bypassed his password. Riley: "It was in sleep mode Jack. You literally could have hit any key." Bogus: Jack hit 9 keys to type 'jail'. Then the screensaver (not sleep mode) turned off when Jack pressed <enter>. It should have turned off when the first key was pressed. 19:58 Mac: "A towel soaked in water can pack a pretty good punch. Add some powered bleach to give it a little bit of a sting. Wrap the whole thing in a sheet for extra range, and you have yourself a weapon from the middle ages called a flail." Possible (guess): While the towel soaked in water is not an insignificant amount of mass, I doubt it would be hard enough to reliably incapacitate an attacker. Unlikely (guess): Mac uses a radio battery, salt from food, and water to create hydrogen. It's hard to tell if the battery contains enough power to produce enough hydrogen and I have no idea how much hydrogen would be necessary to blow the steel door out. I highly doubt they could survive the pressure necessary to blow out the door. Using the wires from the light fixture to ignite the hydrogen appears realistic. He only undoes a wire nut, so he could be fairly confident of not shocking himself. 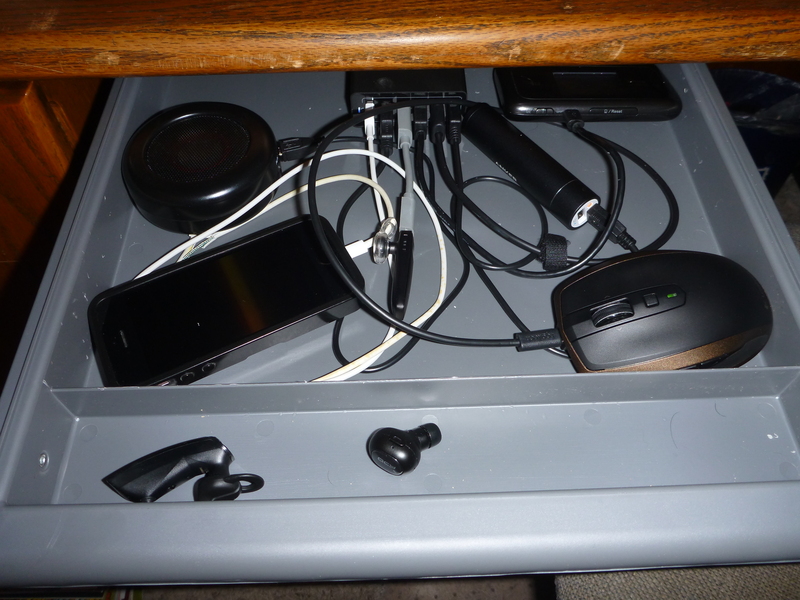 Unlikely: Mac's paperclip screwdriver would not be stiff enough to unscrew most shelve. Most shelves use the shelves as the horizontal supports, so it is not possible to use one end as a ladder once the shelves have been removed. Bogus: Fire extinguisher (CO2), Alcohol to create a very cold liquid to embrittle steel bars. Mac does not put enough of his mixture on the bars to possibly do anything. Accurate: Auto electrical systems run on 12V so Mac can safely touch the wires with his bare hands. Bogus: According to Wikipedia, inert gas asphyxiation does not cause pain, since pain comes from high CO2 levels. Bogus: Somehow Mac is able to magically kick the valve off of a nitrogen tank, turning it into a projectile that perfectly takes out the bad guys. This entry was posted in MacGyver on November 13, 2016 by Kenji Yoshino. My take on the accuracy and plausibility of MacGyver Season 1 Episode 6: Wrench aired October 28, 2016 on a scale of (Accurate, Probable, Possible, Unlikely, Bogus). 2:15 Airbag to shatter glass and blow a hole though at least 3 feet of loosely packed dirt. Unlikely (guess): While the airbag should be powerful enough to shatter the glass when placed directly against it, it is unlikely the airbag would have enough power to blow a hole though 3 feet of loosely packed dirt. 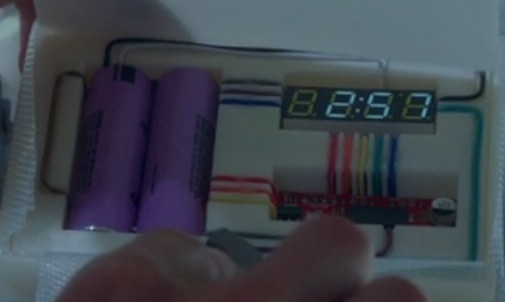 9:10 Mac: "3D Printed Polymer Detonator, invisible to X-rays"
Bogus: The packaging could be 3D printed out of plastic so it is invisible to X-Rays, but at 9:22 the internals of the detonator are shown to contain AA size batteries, a 7 segment display, wires, and PCB which contain metal and would show up on an X-ray. 10:19 Using bomb suits, a dumpster, and car to direct the blast of a bomb into the sewer system. Unlikely (guess): It's hard to tell how much the bomb suits would direct the explosion; however, the manhole cover is probably at least 1" thick steel (most covers that are greater than 24" in diameter are at least 1" thick according to Neenah Foundry) vs. a dumpster that is 1/8" steel. Also, the car is parked on the plastic lid of the dumpster to hold the dumpster down. 13:15 Riley: "GSM SIM chips have a 15 digit serial number"
Bogus: My T-Mobile GSM SIM Start Kit has a 19 digit SIM Card Number. Bogus: Plastic explosive can burn; however, fire will not cause plastic explosive to explode. Unknown: This seems highly unlikely to me. This entry was posted in MacGyver on October 31, 2016 by Kenji Yoshino.